It's a cat-astrophe. Oh yes, I went there. 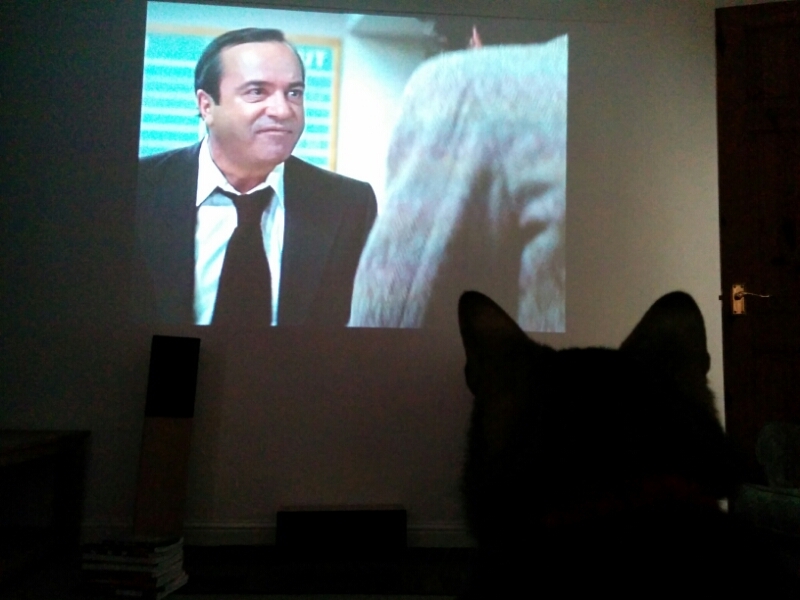 Here’s Sparecat enjoying one of his favourite 1970s conspiracy theory films, Capricorn One. Next stop, The China Syndrome. Holy crap, I’ve just noticed that Yorkies, those “it’s not for girls” branded cheap yet chunky chocolate bars of my youth now don’t have enough chunks on them to spell YORKIE across the bar. Instead, we are diddled out of our rightful sixth chunk, and “Yorkie” is stamped in an embarrassingly shameful way across each bit. Like nostalgia, chocolate is not what it used to be (it’s certainly more full of sugar, my teeth bloody hurt having eaten a bit). You are currently browsing the boredofjam* blog archives for August, 2014.